Asterix turns 50! More than a Comic. As a child aged 11 or 12 years I can recall looking curiously at a new series of cartoon books. The name itself was intriguing - Astérix. As a typical boy of the age, I loved comics - Phantom, Donald Duck, Superman, Mickey Mouse and many others were devoured. I bought comics, collected them and swapped them with my friends. To be honest, comics were just about all I that read outside school. This was the 1960s and some schools had banned comics. So it was with surprise that I found the books in my small school library, and it was an even greater surprise when I tried to read them. The illustrations immediately captured my attention; their wonderful colour and minute detail set them apart from most of the mass-produced comics of the day. The characters also seemed to be different and amusing, and of course they were set in Roman times with battles and ancient weapons of war abounding. The French language (the only option at my school at the time) was impossible for a monolingual working class boy; but I returned many times to the books, creating my own story, while studying intently the many vibrant and gripping scenes in each book. As the French celebrate the 50th anniversary of this remarkable success story in children’s publishing, they continue to fascinate and amuse children and adults. As an adult, the books are just as interesting a read, particularly using the lenses of contemporary political, ideological and cultural analysis. The Adventures of Asterix (in the French Astérix or Astérix le Gaulois) is a series of French comic books written by René Goscinny and illustrated by Albert Uderzo. When Goscinny died in 1977, Uderzo (now 82) took over writing the series as well and is responsible for the 34th book that has been released to coincide with the 50th anniversary of the publication. The first edition of Asterix appeared in French in the magazine Pilote (29 October 1959). The books tell of the lives of a village of ancient Gauls living in the 1st century BC who resist the Roman Empire that had occupied most of the known world. They manage to do what no other people had been able to do, using a magic Druid potion that gives superhuman strength. 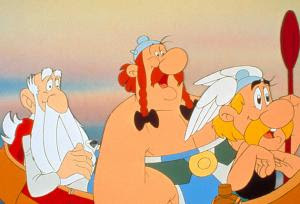 The key characters are Asterix and his friend Obelix who have many adventures. Sometimes these stories are set in the village while at other times they need to travel to other countries around the world. Asterix may be small but he is a cunning warrior who is ably supported by his faithful stonemason mate Obelix. Together they battle the armies of Caesar in their remote village on the Brittany coast; this is the last independent town in ancient Gaul that cannot be tamed. Today Asterix is a well-known global brand with more than 325 million comic books sold in 107 different languages. The books have been adapted into 11 films, eight of which are animated, and three with actors. 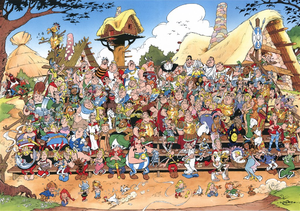 There are also a number of games based on the characters, a theme park near Paris (Parc Astérix). "It's David against Goliath…..Everyone can identify with the image of retribution against things that are bigger than us." 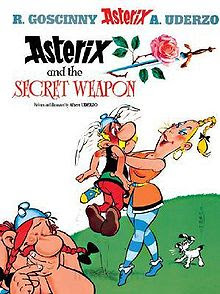 Others have suggested that the Asterix stories have a deeper significance and symbolize French fears over globalisation and the struggle of all independent-minded people against colonising forces at work in our world. As a child I had no idea that the Asterix books could reflect an ideological view of a French people of the need to resist the world. Leo Cendrowicz writing in TIME magazine (21st October 2009) suggested that many in France recognise that this ‘innocent’ children’s comic mirrors a France constantly fighting against the encroaching cultural influences of the rest of the world. It suggests that this inward and even backward-looking way of seeing the world is not relevant in modern day France or Europe which are both thriving. It is suggested that this seeming French obsession is seen in the rules and regulations that seek to protect the French life and culture way of life from outside forces is pointed to as evidence. For example, French singers only singing in French; English words being banned from advertising; 50% of all TV shows needing to be European; Asterix merchandise pitted against Disneyland Paris and so on. Cendrowicz concludes that it is time for France to grow up and leave this insecurity being. In spite of the deeper levels to this book it remains a timeless series of warm and amusing stories about a friendship between Asterix and Obelix as they fight against the might of Rome. The illustrations alone will keep children (especially boys) busy for hours. But the language has richness in English as well as French. The use of puns to name the Roman characters is a large part of the fun of these books. The names that usually end in ‘ix’, ‘us’ or ‘a’ must take up a lot of the author’s time. The village chief is "Abraracoucix" in the French. In English it becomes, "Vitalstastix" (UK) and "Macroeconomix" (US). His wife is called "Bonemine" in French, "Impedimenta" in Britain and "Belladonna" in the US. The chief Druid responsible for the magic potion is called "Panoramix" in the French. But in Britain he becomes "Getafix" and in America, "Readymix"or "Magicmix". The books are highly recommended for boys, especially bright ones who love language. But any boy will be swept along by these stories simply due to the illustrations and the simple narratives where Asterix and Obelix conquer all. The latest book was released on Thursday (29th October) to coincide with the 50th anniversary. 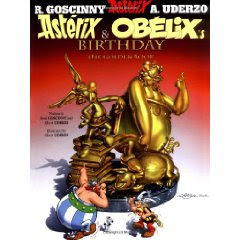 The title is ‘The Birthday of Asterix and Obelix: The Golden Book’ and is the 34th in a series. One early advocate of this approach was Sylvia Ashton-Warner (1963) who wrote a book called Teacher (New York: Bantam Books). In it she outlined her "organic" approach to teaching based on the recognition of what she saw as the opposing human forces of destructiveness and creativity. A second significant person in the development of the LEA was Roach Van Allen whose research and teaching led him to develop similar approaches in the early 1960s. The method draws on children’s firsthand experiences that are either naturally occurring or are planned by the teacher or parent. The experience becomes a focus for discussion and exploration and eventually is recorded as a written text in some way. Some people see this as a method suitable only for young children but nothing could be further from the truth. Any adult who has done or seen things for the first time will attest to the power of a significant new experience - seeing new places, doing things for the first time, tasting new food, finding yourself immersed in a significant event - new experiences have a major impact on learning and our use of language to describe these events. Such experiences teach us new things and move us to use language to make sense of the experience and tell others about it. I thought in this post I'd give an example of what I'd see as a typical language experience for each of two age levels. One of the favourite activities at our house when my grandchildren visit is hunting for insects or other living things in the back yard. If you live in an apartment you'll have to walk to the closest park or open space where there are gardens, trees and grass. If you have a magnifying glass all the better and perhaps a couple of bottles (or a bug catcher) and a couple of used ice cream or margarine containers. As a parent or teacher you do need to exercise great care with this activity. Know about any dangerous insects in your area and be able to recognise them. If you don't know enough, have someone else with you who does. 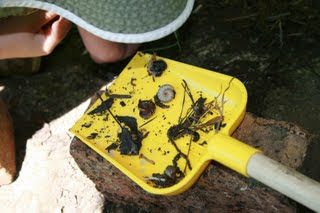 Worms, snails, slaters, ants and slugs are easy and safe. If you don't like the thought of holding a worm then there are lots of other insects to see in any yard. Look at the bark on any tree, lift a rock in the garden (with care if there are spiders where you live - use a stick), lift a pile of mulch, turn a sod of moist soil, look closely at the leaves on a tree, search the flowers and so on. 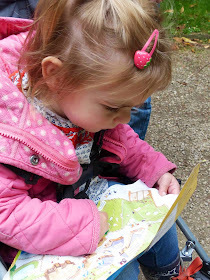 You can't help but talk about an experience like this, your child or children will be talking incessantly - "look at this", "ooo - it's moving", "watch out! ", "what is it? ", "it smells", "it jumped" etc. Ask questions as you share the experience (see my post on questioning here), extend their language - "yes, it's slithering", "smells like mummy's curry", "that's its stinger, don't touch it". One qualifier is that we shouldn't turn every great experience into a formal school activity, don't make your children draw or write about everything. But often, your children will want to remember the experience or write something so that they can tell others about it (siblings, a parent, friends, grandparents etc). 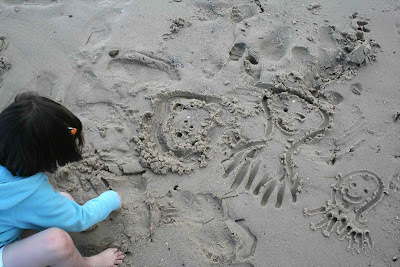 For very young children a drawing will be a wonderful way to record and communicate the experience and this is the beginning of writing (see my post on beginning writing here). 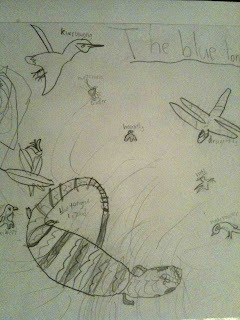 Older children will label their drawings and maybe write a sentence or two, list some words that say how they felt or what they saw, or write elaborate text to go with the illustration (see my 7 year old grandson Jacob's illustration of a Blue Tongue lizard observed in his yard). You can also record photographs or videos (cell phones make this easy) as a record of what you've seen. It is important with experiences of this kind to give opportunities to share the experience with others - mum or dad, grandparents, other siblings, classmates. Not always, but often. This can involve showing the writing or drawing to others, hanging the product on a wall, the fridge etc, sharing it in any way that is appropriate to the product or record of the experience. Jacob gave my wife and I the picture above that he drew and told us all about the experience. The sharing of the experience can lead to other experiences: a video on insects, the reading of a related book. Literature can also be an important end to a wonderful experience together: Eric Carle's 'The Very Hungry Caterpillar', and Bruce Whatley's 'Looking for Crabs' immediately come to mind as books I'd want to share. One of the most wonderful experiences that school-aged children can have is to raise and observe some living creature - silk worms, earth worms, an ant farm, tadpoles (this may be illegal in some countries due to environmental issues), chickens, ducks, birds, rabbits, fish, tortoises, guinea pigs or hamsters. 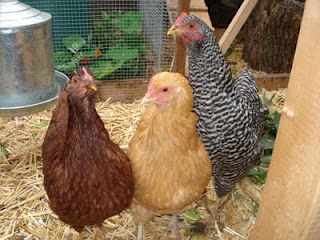 Raising chickens is one of the best examples that I've used or observed others using. You can buy day old chicks quite easily. If doing this for a whole class I'd suggest buying enough to allow one chicken to a group of 4 children, this will allow closer observation and an opportunity for all children to be involved in the care of the chicks. You will need a good cage with a wire bottom and a safe coop on the end that can be moved outside onto grass or dirt and then moved into a shed or weather shed for safety. As well, you need an exit strategy! What will we do with the chickens when they become hens and roosters. Knowing someone with a farm would be good. The first day or two is always very exciting, simply let the children observe, handle (carefully) in groups (close observation by the teacher is important at first - do it a group at a time) talk about the chickens, draw them etc. Establish a routine for how the class will observe and care for the chickens - feeding, observing, talking about, writing about etc. Structured observation is another great extension to this experience - examining the food, weighing the food (and graphing over time), weighing the chickens, measuring their height, wingspan (a teacher job usually), looking at specific parts (feet, comb, beak, tail, wings...). You won't be able to stop children talking about the chickens. Allow the children to talk while they observe (this won't be a quiet activity), at times structure or direct the talk with careful questions (e.g. "Can anyone see the tail feathers?" "Do chickens have teeth?" "How have the feet changed from last week?" "How do they drink?" "How do chickens sleep?"). As well as group talk, there will be wonderful opportunities to have children do prepared talks in their groups, to the class, to visitors to the class, or to other classes. The talk can be factual, imaginative or even dramatic based on their observations. For the latter, children can even invent dialogue between their chickens, give them identities etc. You can also make good use of literature and other non-fiction to stimulate other discussion and learning about chickens. 'Hector and Maggie' by Andrew & Janet McLean and Colin Thiele's 'Farmer Shulz's Ducks' are just two books that come to mind that could enrich the experiences and stimulate new types of creativity. 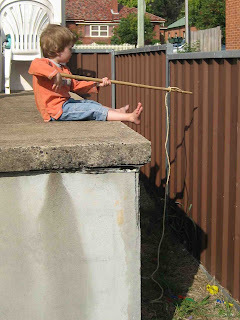 It is in talking about their experiences that children can talk their way to new insights and understandings. Language and learning are intertwined (I'll blog on this on another occasion). Keep a daily log or journal (these could be individual, group or class based - probably all three). Do regular drawings - a single chicken, chickens in groups doing different things, detailed drawings parts of the chicken (head, feet, wings, beak etc). Compare drawings over time etc. Record food and water quantities (and maybe graph this). Record and graph the chicken's weight and size. Attempt some creative writing - 'The battle of the chickens'. Produce a video of the chickens behaviour, key observations etc. Literacy learning - for the young this will include simple concepts of print, new words, and a growing grasp of sentence structure etc; whereas for the older child this can extend to knowledge of new written genres, writing for new audiences, growing reading and research skills. 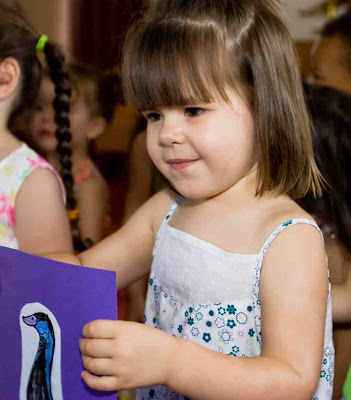 The LEA is not just a technique just for young children, older children also benefit from firsthand experience as a significant vehicle for language and learning. I'd be keen to hear from parents and teachers of experiences that have worked well with your children. 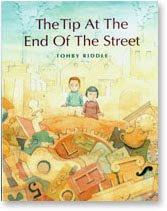 Tohby Riddle is an award-winning Australian writer who was born in Sydney and still lives there. His early education was spent at a Steiner school where a love of creating things (mainly with drawings and words) flourished. He is an illustrator, cartoonist, designer and occasionally an editor. 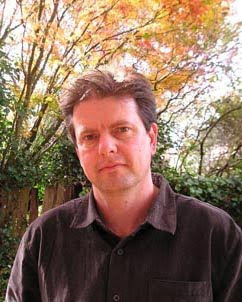 He has written and illustrated many successful picture books as well as a novel (published as a young adult book). His work as a cartoonist appeared for almost 10 years in two major daily Australian newspapers, the 'Sydney Morning Herald' and 'The Age'. He is also a former editor of the 'The School Magazine', a literary magazine for children published by the NSW Department of Education since 1916 for use in schools. He trained at the Sydney College of the Arts, majoring in painting. He worked in various jobs after college one of which was as the mailing clerk at Pan Books Australia. He says that this was a great education for him. In this job he saw what manuscript submissions looked like and what rejections slips looked like. He also met many visiting authors. All of this was an encouragement to write. 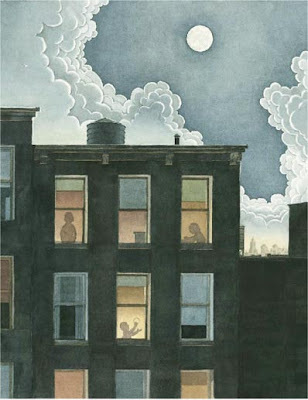 A book on the art of Maurice Sendak also inspired him. Meanwhile he had started studying architecture at the University of Sydney. Eventually he had to make a choice between being a dedicated writer or an architect; he chose the latter. Since then has produced 14 picture books, a novel and many cartoons and illustrations. 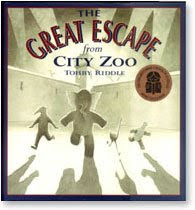 Some of the books have been published internationally, some have received awards, and 'The Great Escape from City Zoo' has had the feature film rights to it bought by a Hollywood studio. For such a remarkably gifted illustrator it is disappointing that some of his early works are hard to buy. As a relatively young writer and illustrator he has potentially many more innovative works to share with his many readers. This is a wonderful picture book for preschoolers and beginning readers. 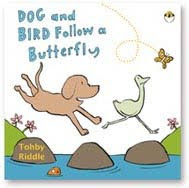 One day Dog and Bird follow a butterfly. It goes up and down, and round and round as it leads them to a magical moment! This is Tohby Riddle's debut novel. It is set in the 1980s and central character Tom is just out of school at the beginning of the rest of his life. But everything seems out of whack, crazy. This is a book that resonates with the issues that teenagers face today, including joy and sadness. Clive Prendergast is a fox with a regular job and a place to call home. While he is able to adapt to city life some of his friends like Humphrey the donkey finds it harder. Life in the city is a mixed bag for these two, but a special-looking blue envelope is about to change everything – at least for one wonderful night. The book uses collage to great effect and a text that is clever and works cleverly at multiple levels. This book was shortlisted for the Patricia Wrightson Prize in the 2009 NSW Premier's Literary Awards. It was also shortlisted in the 2009 Children's Book Council Awards (Australia) in the Picture Book category. This book was written by Ursula Dubosarsky and illustrated by Tohby Riddle (2008). 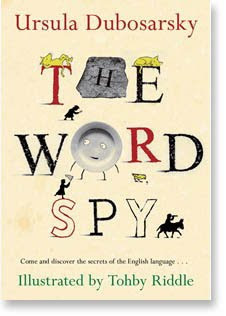 Published as 'The Word Snoop' in the USA (2009) this book is a wonderful journey through the 4,000 year history of the English language. Readers meet palindromes, puns, Pig Latin, new alphabets, anagrams and acronyms along the way. This is Tohby Riddle's second collection of cartoons. They are a delight for children of varied ages as well as adults. Irving lives in New York. One day while watching the world go by from his window he notices a man in the street and overhears him say - 'Where's the magic?' Irving thinks long and hard about the words of the man. He takes the man's idiomatic statement literally and sets out on a quest for something different. 'Where's the magic?' Irving asks a shopkeeper at the corner store. 'Well, it's not around here', is the reply. And on he goes. When Irving finds a mysterious book gathering dust on a shelf in his aunt's apartment, he is inspired to become a magician! This book was shortlisted in the 2006 CBCA awards in the Picture Book category. It was also shortlisted in the Queensland Premier's Literary Awards in 2006. This is a full-colour collection of cartoons that were all originally published in the Sydney Morning Herald newspaper. It is a blend of the humorous, the strange and the thought provoking. Colin Jenkins’s life is changed for good when he falls asleep in his lunch hour and a mysterious bird makes a nest on his head. He wakes and makes his way home, blissfully unaware of what has happened. When he does become aware of the bird on his head, his daughter encourages him to leave the bird alone, so he tries to leave the bird undisturbed. But Colin does not realise the complications his new bird hat will bring. This improbable tale is one of several books that build on the age-old theme - dealing with the unwelcome visitor. Tales like 'The Mitten' and the Dr Seuss book 'Thidwick the Big-hearted Moose' are typical of those who have used this idea. The clever story and illustrations that combine collage, watercolour and line drawing immediately engage children. The reader is also swept along by the absurdity of the situation that Colin faces. 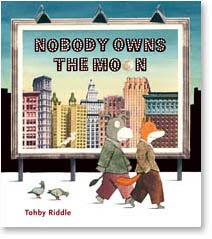 Tohby Riddle wrote this wonderful picture book before the movie Madagascar was made. The story tells of the adventures of four animals that escape from City Zoo and end up on the run in the big wide world. The books monochrome illustrations support a fast moving tale that children love. Riddle mixes many cultural icons into the story that will keep the adults reading the book interested - King Kong being just one! This book was shortlisted in the picture book category of the 1998 Children's Book Council Australia (CBCA) awards, and the NSW Premier's Literary Awards 1999. A dreamy tale of two children fascinated by what people throw away at the tip at the end of their street. One day they find an old man there who brings the world of the past to life. This book won the 'Ena Noel Award' (International Board on Books for Young People) and was listed as a 'Notable Book' in the 1997 Children's Book Council Wards (Australia) in the Picture Book category. This book introduces the reader to 50 types of fairies that can be held responsible for all the strange, slightly annoying little things that go on around the home and elsewhere. The Queen is planning to visit Australia. When the Queen raises questions about the cost of a royal visit, Mrs Jones from Padstow in Sydney offers to billet her. A gracious Queen (sleeping bag in hand) accepts the offer. The Queen experiences everyday suburban life, as she plays cards with Mrs Jones and her friends and helps her to take her cat to the vet. 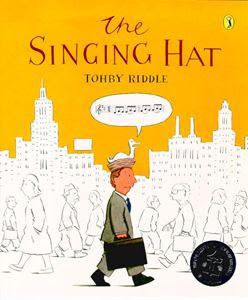 As usual, Riddle uses a simple and quirky idea and wonderful illustrations to spin a good tale. This early title is also hard to find but you'll find it in libraries. 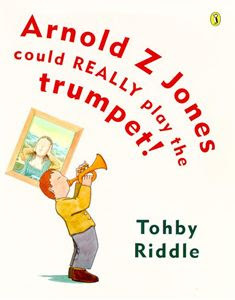 Arnold Z Jones loves playing his trumpet – loudly (and badly)! Unfortunately, he plays the trumpet all the time, even in his sleep. His parents and the family dog try everything to get some peace and quiet, but nothing will stop him. This book is hard to find but is available on the Internet. Fletcher, a dog that builds his own kennel, cooks pancakes and rides a penny farthing in the park becomes famous for his talents. But fame doesn’t necessarily bring good fortune. When Eugene kicks his ball really hard it goes straight towards his grumpy neighbour's window. In that instant, Eugene’s future flashes before him. What might have happened because of that kick - except for his dog? Unfortunately, the book is out of print but second hand copies can be found on the Internet. Children have a natural tendency towards creativity. Not all children are as creative as one another, but all start out showing an ability to demonstrate creativity. We can encourage and build on this natural creativity or we can inadvertently shut it down. Here's an example that I shared in a post on play last year (here). My wife Carmen and I called at our daughter Nicole's house one Saturday and we both ended up in the back yard with our grandchildren. Carmen was cutting the children's hair (it was Jacob’s turn); Nicole and David were preparing afternoon tea. The girls took the opportunity to rough me up a little. Rebecca aged almost 4 at the time said, “Sit down here Grandad" (meaning the veranda on their cubby). When I did she jumped on my back. I immediately responded by clasping her legs and standing up. “Oh no, I screamed, what’s on my back?” “I’m the Hagy," she cried. "Oh no," I said, "I'll toss you into the ocean, because Hagy's hate water." I raced off to the other end of the yard with Rebecca squealing with delight as I ran too close to the bushes and tossed (well lowered) her into the sandpit (the "ocean"). This was repeated several times before Elsie aged 2 claimed her turn. This continued for about 15 minutes with many variations (different monsters and different responses from grandad to the dastardly creatures). Eventually Jake (aged almost 6) sprung from the hair-cutting chair and claimed his turn. This seemingly silly play involved many things that built on my grandchildren's creativity and at the same time, encouraged it in varied ways, including creative story making (in which all of us participated two at a time), word play, sound exploration, physical activity and performance etc. 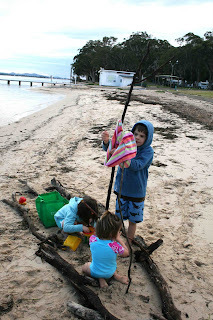 In this post I want to address what creativity is and how we encourage it in our children. I've written a number of posts on this blog that have indirectly addressed creativity. Readers of this blog know that I have discussed creativity as part of play (see my series of 4 posts on play here or check out all posts tagged 'play' here), creativity in learning and language (see for example my post on being inventive with language here or all posts tagged 'creativity' here), specific approaches to literacy and language learning for older school-aged children which encourage and support creativity (for example my post on the 'Language Experience Approach' here) and fantasy (see for example my many posts on literature). Creativity has many dimensions and can be stimulated in many ways. "The process of developing new, uncommon, or unique ideas"
Creativity involves the generation of new ideas or concepts that usually lead to new products, performance and processes, or new associations between forms of knowledge, performance, processes or language. Creativity involves adaptability and flexibility of thought. Guilford's (1956) structure-of-the-intellect theory gave us an important awareness of the differentiation between convergent and divergent thinking which is helpful in understanding creativity. Convergent thought is designed to lead to a single solution or one answer. But divergent thinking requires the learner to generate many ideas and solutions. It's useful to evaluate our interactions as parents, teachers and grand parents with our children. Do we encourage creativity or do we shut it down? Creativity expert Sir Ken Robinson argues in Britain children have been educated to become good workers, rather than creative thinkers, students with restless minds and bodies. Instead of creativity being cultivated it is ignored or even stigmatised, with terrible consequences. He suggest that schools '...are educating people out of their creativity'. Fluency - The ability to generate many ideas, solutions, products, actions etc. Elaboration - The ability to expand or embellish ideas or actions; to stand on the shoulders of others to show new ways forward. Flexibility - The ability to show flexibility in seeking solutions, expressing oneself, engaging in play and so on. This is not about volume but the varied nature of ideas, solutions or actions. Complexity - The ability to conceptualise multidimensional ideas, actions or products; to see new ways to achieve goals. Originality - The ability to create novel or extremely different ideas, actions or products; to think outside the square. Risk-taking - The preparedness to try the new, the novel, to explore the unknown, try new things; to move outside your comfort zone. Curiosity - The tendency to explore, seek new solutions, show hunger for learning, ask many novel questions; the tendency to ask 'why is it so'? How is creativity demonstrated and how can it be impeded? As my definition above indicates, creativity can be demonstrated in many ways. Mathematics can be just as creative as music or art. The skilled footballer can demonstrate creativity just as much as the creative writer. Public speaking, car restoration, event planning, gardening, cooking, singing, poetry writing, play and drawing can all be creative. I won't labour the point, but put simply, creativity can be demonstrated in any human endeavour, and it has significant value. Children have a natural tendency towards novelty, experimentation and exploration of their world in new ways right from birth. While genes have something to do with creativity and it varies from one person to another, all humans have the potential to be creative and creativity can be fostered or discouraged. James Moran suggests that for young children, a non-evaluative learning environment is a critical factor in developing creativity and in avoiding what Treffinger (1984) calls the "right answer fixation." He argues that as children grow older they move toward conformity, and that this is most marked in the primary school years (5-12 years of age). Work on ideational fluency (or the generation of ideas) suggests that it is halved from age 4 to 12 years (during the school years) and then returns to similar levels during the university years for some. While we usually assume that restrictive curriculum, the removal of opportunities for creative exploration and stress on convergent thinking is the major contributor to a loss of creativity in the school years, Groves, Sawyers, and Moran (1987) suggest that the use of rewards and incentives also interfere with creativity. 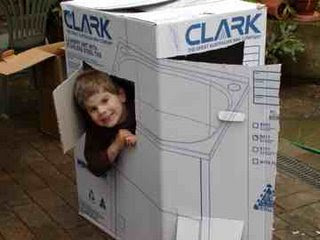 In particular, they seem to reduce the quality of children's responses and the flexibility of their thought. I’ve just returned from a trip to Western Australia. I was attending a conference in Fremantle just south of Perth perhaps the most isolated major city in the world. Fremantle is home to one of the most interesting museums I have visited, the Western Maritime Museum, specifically, the historic shipwrecks gallery. A central part of this museum is part of the wreck of the Batavia (see below) that floundered on uncharted rocks of the Western Australian coast on 4th June 1629. The British ship the ‘Trial’ was the first confirmed European landing on the great Southern Continent in 1620 some 150 years before Cook, but the circumstances surrounding the Batavia and the fate of its crew and passengers have made it the most famous of the early ships to stumble upon Australia’s at times treacherous coast. The story of the Batavia is an horrific one. The ship hit Houtman’s Abrolhos Rocks off the West Australian coast on the 4th June 1629. Most of the 260 passengers and crew survived the wreck and landed safely on the barren islands nearby. The captain left the passengers and most of the crew and headed for Java in an open boat to get help. He successfully returned 14 weeks later only to find that 120 men, women and children had been brutally murdered by members of the crew and the passengers. The Captain tried the men, supervised the hanging of 7 after first cutting off their right hands. He showed mercy to two additional young men found guilty but seen as minor 'players', one a 17 year-old boy Jan Pelgrom and the other a soldier, Wouter Loos. They were marooned with a small amount of water, food and supplies. While visiting the museum I discovered Gary Crew’s book ‘Strange Objects’ (1990) in the gift shop. 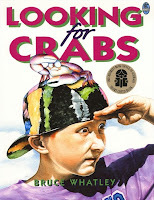 Crew won the 1991 Children’s Book Council Australia award for Older Readers, the Victorian Premier’s Literary Award and was shortlisted for the Edgar Allan Poe Mystery Fiction Award (Crime Writers of America) for this book. 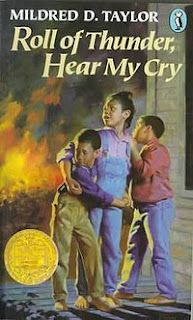 Crew’s book is an example of historical fiction. He takes an historic event and tells a story that illuminates this historic event while telling a powerful story of human cruelty, suffering and survival. The story commences in 1986 with a teenager Steven Messenger who lives with his family in a roadside truck stop in the middle of nowhere along the highway that weaves its way up the western coast of Australia. Messenger discovers some gruesome relics in a cave while on a school excursion. This begins a mysterious tale where his life is interwoven with the lives of two of the survivors of the Batavia responsible with others for the murder of the 120 people. Like many works of historical fiction, Crew uses the metaphysical encounters of one of his characters to transport us back to another time. A ring found attached to a severed hand provides a vehicle for regular time slips between his life in 1986 and the events that unfolded when Wouter Loos and Jan Pelgrom were set adrift in a small boat that gave then an outside chance of survival. Historical fiction offers readers a narrative that takes place during a specific (often significant) period in history. It often focuses on a specific event in the period and presents some of the actual events at the time through the presumed voices of actual people (using diary, journal, illustrative and secondary resource material) and offering a particular point of view of people living in the period. The extent of the accuracy of the historical detail varies greatly. In some historical fiction, famous events are given new points of view using characters whose voices have not been recorded in mainstream accounts. Sometimes actual events are explored in new ways, as speculation based on evidence available. At times, events and characters are invented but set within accurate historical settings, events etc. But the characters can also deal with events that are not related to historical accounts. Many other forms of artistic licence are taken as well, including inventing new characters, using new or altered names and places and creating new events. Depending on how far these accounts vary from historical accounts, they may be classified as alternate history or historical fantasy. The latter is often associated with the exploration of the metaphysical. 'Playing Beatie Bow' discussed below is an example of historical fantasy with characters, narrative and events largely invented but set within historically accurate settings and with events that were typical of the time. Why encourage children to read historical fiction? As I have written previously, literature can teach us a great deal (here). 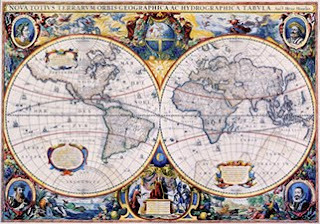 As well, as enjoying being lost in a good book we can learn new things about our world and the history of its people. Here are jhust some of the reasons that historical literature has value. 1. Historical fiction can illuminate history - One of the great advantages of this genre is that in presenting history through the voices of different characters and using the many devices of narrative, at times dry historical accounts can come alive. As such, the reading of a good piece of historical fiction in parallel to history can enrich our understanding. 2. It can increase children's interest in history - This flows very much from the second advantage but it is worth stating separately. Many a student has been bored by modern history (for example) when a piece of historical fiction might just have increased their interest. 3. It can highlight and make sense of the tiniest of details of history often missed in textbook reading - This brings life and excitement and can increase creativity. In this way, people are also put back into history and made real. 4. In presenting multiple perspectives it can present complex issues in multi-dimensional ways, helping us to see things for the first time - For example, when reading 'Tom Appleby Convict Boy' I was able to understand the horror of life as a chimney sweep and the cruelty of 18th century life in England in new a new richer way. 5. 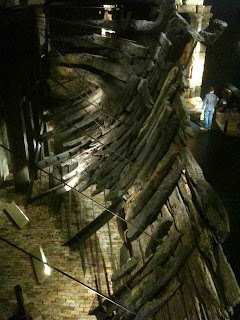 It connects children's learning right across the curriculum - My experience as an adult exploring contemporary Western Australia was enriched as I encountered the wreckage of the Batavia in the National Maritime Museum in Fremantle, as I toured the rugged coats and as I then read 'Strange Objects'. My learning using varied sources and senses was enriched and integrated by my reading of Crew's book. How to choose good historical fiction? Are the characters portrayed accurately, or if invented, are they consistent with the times and the events? Are the settings real or at least authentic? Does the narrative weave in accurate historical details and avoid stereotypes and frequently repeated myths? Is the story well told and believable? While this book is an authentic representation of the setting and the times, the metaphysical elements of the book probably place it in the historical fantasy sub category. Nevertheless, it is a brilliant novel for 12-16 year olds. 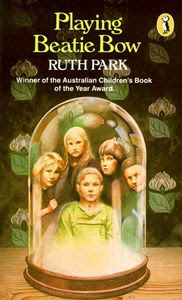 It won the Children's Book Council Australia Award for Book of Year in 1981. The book has been adapted for film (details here), but like so many good books, the screenplay falls well short of the quality of Park's book. 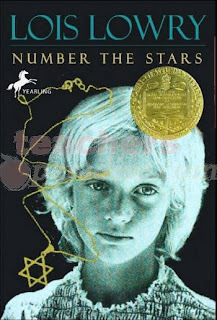 Number the Stars is set in Denmark during World War II. Ten-year-old Annemarie Johansen is the central character, who is living in Denmark under German occupation in 1943. Her family becomes a target for the German forces as they help a Jewish family. Annemarie and her family risk their lives to help Annemarie's best friend, Ellen Rosen, by pretending that Ellen is Annemarie's older sister. The title is taken from Psalm 147 in the Bible that speaks of God's power as the one who knows and has numbered every star. It is also probably a reference to the fact that God had promised Abraham the father of the Jewish nation that he would have as many offspring as there are stars in the sky. 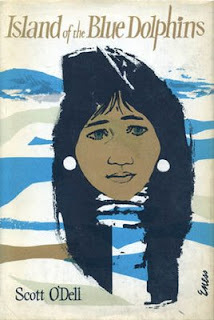 The novel was awarded the Newbery Medal in 1990 as the "most distinguished contribution to American literature for children". The Jews of Denmark are being 'relocated', so Ellen moves in with the Johansens and becomes part of the family, but as the risk grows Annemarie is asked to go on a dangerous mission mounted by the resistance movement; a trip that is almost as dangerous as the occupation. This is a moving and compelling book that engages the reader from the start and in the process offers an insight into the lives of many innocent Jewish families in World War II and the lengths that some went to in order to survive. Living in World War II Britain, Chas McGill has the second best collection of ware souvenirs in Garmouth and he wants to have the best. He is determined to outdo his rival Boddser Brown in obtaining the ultimate war souvenir. An opportunity comes when he finds a crashed German bomber in the woods complete with machine gun, he knows he can not only beat Boddser hands down, but can also play a role in the war. All he has to do is to remove the machine gun from the plane. This has to be one of the best books for boys that I've read. Not surprisingly it won the highest British honour for children's literature, the Carnegie Medal in 1975. Any boy aged 10-16 years who can read will love this book. Leon Garfield has written many fine examples mostly set in late 18th century England including 'Devil in the Fog' (1966), 'Black Jack' (1968) and 'Smith' (1967). He also branched out into picture books with the great Charles Keeping illustrating 'The Wedding Ghost' (1985) and Margaret Chamberlain illustrating 'Fair's Fair' (1981) and in a newer edition with Brian Hoskin as the illustrator (2001). I'd best stop. What are some of your favourites?